Best place to buy a quality Mercedes. Staff is professional, courteous, helpful but not aggressive. They go over all the details in depth on how to operate everything in your vehicle. As the recipient of 8 Star Awards, since 2011, Mercedes-Benz Oakville delivers an award-winning sales and service experience. This prestigious accomplishment symbolizes Mercedes-Benz Oakville’s unrelenting commitment to providing a superior experience for you. Our dealership provides an outstanding selection of new and pre-owned vehicles for you to browse. In our online showroom, you’ll find an array of Mercedes-Benz and Mercedes-AMG vehicles that you might not find so easily elsewhere. Or perhaps you’re in the market for a Mercedes-Benz van or corporate fleet – we can assist you with that too. We also offer comprehensive services at Mercedes-Benz Oakville with a team that is fully trained to put your needs and desires first. We invite you to browse our inventory of Certified Pre-Owned vehicles. We’re sure you’ll find owning a Mercedes-Benz is quite affordable with our variety of financing and leasing options. Let our team of experts help get you behind the wheel of a Mercedes-Benz and keep it running optimally with a wide selection of genuine Mercedes-Benz parts and accessories. 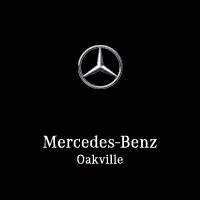 Our Mercedes-Benz Oakville location is easily accessible from anywhere in the GTA and our award-winning team is at your service. Our dealership has always expanded to meet the needs of our customers by proudly serving Oakville and surrounding areas. Come in and experience the difference for yourself at the QEW and Dorval Drive in Oakville.